The ASUS Zenfone 3 Zoom ZE553KL Android 8.0 Oreo update is rolling out via OTA. Comes with updated features and security patches. One of the good things I can say about ASUS is their track record when it comes to updating their devices. 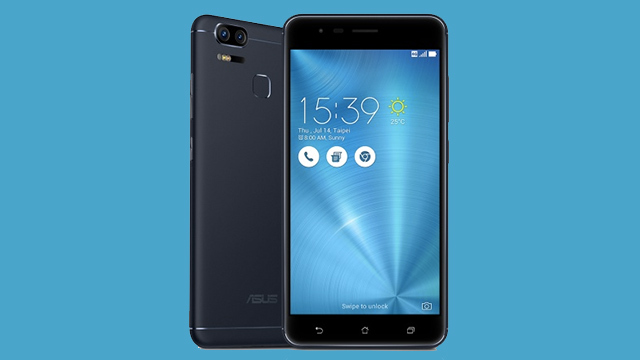 After announcing the availability of the Zenfone 3 Deluxe Oreo update, the company follows up with the Zenfone 3 Zoom ZE553KL. According to ASUS, the update is version V80.20.179.40. Like previous updates, it will be pushed in batches, so it might take some time before everyone gets the OTA notification. Owners can also check via the System Update under Settings to see if it is available. Upgrade to Android O. Internal storage will decrease slightly, please backup your all data to SD card before upgrade. Remove several default apps. (Minimove, photocollege, do itlater). Change the gesture of entering “All Apps Menu” to “swipe up”. Those looking to upgrade to the latest firmware, please don’t forget to perform a backup of your files and images before doing so. The ZenFone 3 Zoom boasts dual 12MP camera system powered by Sony IMX362 sensors. The secondary lens provides 2.3-times optical zoom. Its predecessor had motors for zooming that gave it added bulk. The handset features a 5.5-inch full HD AMOLED display, an octa-core Qualcomm Snapdragon 625 processor, 4GB of RAM and an Adreno 506 GPU. It also packs a large 5,000 mAh battery.